Q : Can foreigners set up a corporation in Japan? A : Absolutely. Foreign nationals can start their own company in Japan as long as they have a director or shareholder with a personal Japanese bank account, and secure an address for registration (this cannot be a post office address). While it is no longer necessary to appoint a local representative director, the appropriate personnel will need to be able to negotiate and enter contracts for the company with the appropriate banking, business, and legal institutions as required for the smooth operation of the business. For practical purpose it is recommended to keep a local director, but there are ways around this depending on the nature of your business operations, clientele and vendors. Q : I am being transferred to Japan as a representative of a subsidiary (or a Branch Office) of a foreign legal entity. What kind of visa do I need? A : If you are going to be appointed as your company’s representative director, then the appropriate visa is either the Business Manager or Intra-company Transferee visa. Q : Is a university degree required for visa application? A : A university degree is recommended, though exceptions can be made with enough work experience in the relevant field and sufficient startup capital (about 5 million yen for business investors). Please contact us for a screening on your case. Q : Can you incorporate a company with just one person? A : Yes it is possible. However, the individual must have a personal Japanese bank account and have a registration address in Japan. Please note most banks will not accept bank account applications from non-residents. Q : Can I open a company bank account as a foreign national? A : There are no Japanese regulations that prohibit a foreign national from opening a bank account in Japan. However, banks have the right to establish their own requirements for accepting banking clients, and as of this writing most banks still require applicants to be at least legal residents. As the owner/manager of the company, you will need the Business Manager visa to establish your legal residency in Japan. In rare cases banks may accept a non-resident application so if you have no residency in Japan and have no intention to, you should contact the banks to see if a non-resident bank account can be opened. Q : How much capital do I need to start my business? A : Although in theory it is possible to start a company with capital of 1 yen, this is not recommended for a variety of practical reasons. Most companies start out with 5 million yen or more at the time of its incorporation, which funds necessary expenditures such as rent, salaries, taxes, and more. There may also be unseen costs that need to be covered for the continued operation of the company, so it’s always a good idea to have enough capital set aside to ensure a smooth start. Q : How can I provide proof of capital if the company bank account cannot be opened until after registration? A : In the case of a Kabushiki Kaisha, the capital must be in either the to-be-representative director`s personal bank account or local shareholder, or in the case of a Godo Kaisha, the member`s personal bank account. You must provide a copy of the bank statement showing the deposit of the capital amount specified in your incorporation documents. 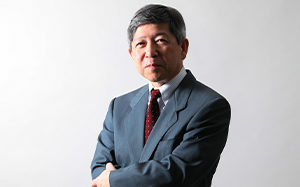 As above mentioned, if you are not a legal resident of Japan, opening a personal bank account will be quite difficult and may require negotiating with the local banks—so in the case you are unable to successfully open one, you will need to appoint a representative director who is a resident and has an existing personal bank account. The bank statement will then be submitted to the Legal Affairs Bureau, so it can verify the official starting capital reserved for the company. Q : If the starting capital is initially deposited in my personal account, will I have to pay income tax on it? A : No, you will not have to pay income tax on it since your account was only used to temporarily hold your company’s starting capital. You can transfer this amount to the corporate bank account after the incorporation is complete and the corporate bank account can be open. Q : Is it possible to open a bank account as a non-resident? A : Legally, you should be able to open a bank account as a non-resident. However, Japanese law allows banking institutions the right to determine their own standards as to what they require from prospective clients. As of this writing, the vast majority of Japanese banks still require legal residency status before accepting a bank account application. There are a few banks that will make accommodations for non-residents, but this is the exception rather than the rule. Q : When do I need to deposit the starting capital? A : The timing of your deposit is important because this will indicate the officially recognized timeline for establishing your company’s starting capital. The recommended period is within 3 months of submission to ensure it is recognized as recently deposited funds. Q : What should I do first, register my company or find an office? A : Because an address is a requirement for registering a company, you would ideally find your office first. However, in some cases it is difficult to secure a lease agreement if you are not a legal resident of Japan. You may try serviced or virtual offices which are easier to lease and have less strict screening procedures. You may also be able to register at a residential address given this does not breach any contract with your landlord or if it is owned by you. Please note in some cases such as those involving industries requiring business licenses, or if your case involves a visa, it may be mandatory to secure a proper office or building that clears certain requirements. Q : Can a temporary virtual office I used for my business registration be used for my Business Manager visa application? A : Unfortunately, you must use a physical office for your visa application. In some cases you may be able to use your residence as an office address if certain conditions are met, but this is the exception rather than the rule. Our immigration specialists can advise you regarding your best options, so you can make the right arrangements for securing an office address that will meet the requirements for your visa. Q : Can I register my company using my own residence as the location of my head office? As long as your incorporation does not involve visa sponsorship or require certain licenses, this should not be an issue, but it also depends on the nature of your business and the terms of your residency lease contract (ie: if your landlord will allow it). For example, if you are a consultant or graphic designer, using your residence as your office should not be a problem (though it is always best to consult a professional to be sure). However, if you are running a food catering business, conducting retail sales, or doing any type of business that requires a commercial space, then you should secure the appropriate space that clears any licensing requirements. Q : Do I have to include the building name in the address display of my company’s head office? A : No, legally you do not need to include the building name. Q : Can I use a trade name that is similar or the same as the name already being used by another company? A : Yes the general rule is that you can, as long as your company is not located at the same address as another company with the same name. Please note some trademarks may prevent you from registering certain names. Q : Do I need to make a corporate seal for my business? A : Yes, this is a requirement for all companies. The Corporate Representative’s Seal must be registered at the Legal Affairs Bureau, which is only authorized for use by the representative director on behalf of your company. Q : How many business purposes does my company need to have? A : It does not matter how many business purposes you list. There is no need to list too many; we recommend listing no more than 10 business purposes, to keep everything concise and clear. You are not required to do all activities listed on your register (Future intended activities are ok), but any activities that you are doing should be listed there. Q : How long is the incorporation process in Japan? A : It generally takes between 2 to 4 weeks to complete the setup of your company, though it may take longer if you need a specific license to operate. For urgent situations, we also offer expedited assistance, so you can launch your company without any unnecessary delays. Q : Do you offer corporate dissolution services if I need to withdraw operations from Japan for any reason? 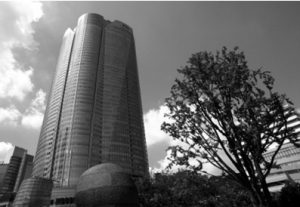 A : Yes, Shiodome Partners Group can provide expert guidance during your company’s withdrawal process. We can also advise you on your best options, which may include selling your business under the right circumstances or putting it in dormant status temporarily. Q : Can I register my company using Alphabet characters? A : Yes you can, it is also possible to include numbers in your name if you choose. Q : What other things should I consider before starting the incorporation process? A : If you are already in Japan under an activity restricted visa (such as a humanities or engineer visa) and are planning to manage a business, then it is necessary to change over to a business investor visa. This visa is not necessarily granted upon the incorporation of your business although this is a common misconception. Therefore, it is important to consider the steps of acquiring the visa and how it can affect the incorporation of your company. Q :How long does the approval process take for business manager visas? A : It generally takes between 3 to 4 months, though in some cases it can take up to 6 months. 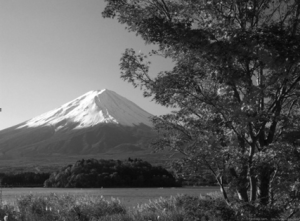 Q : Is a visa absolutely necessary at any time when I’m trying to incorporate my company in Japan? A : No, a residency visa is only essential if you have to be in Japan for an extended period, beyond the 90 days allowed on most tourist visas. If you have no intention of living in Japan and have qualified personnel to run the business in Japan, a visa may not be necessary. Q : If I want to start a company and am currently on a work visa, is it possible to change it to a business manager visa? A : Yes you can, but only after your business has already been incorporated and is open for operations. This means that you should complete the incorporation first, hire employees and notify the appropriate HR agencies (if applicable), select your suppliers, and prepare your office. It sounds like a tall order, but this can be completed in 1 to 2 months with proper assistance and preparation. Q : Is it better to establish my company as a subsidiary or a branch office? A : This can only be determined after a thorough assessment of your business plan and current situation. There are tax regulations and legal issues that may affect your decision depending on what you choose, so we advise scheduling a consultation in order to determine your best option. Q : Should I register my company as a Kabushiki Kaisha (joint stock company) or a Godo Kaisha (limited liability company)? A : It really depends on what kind of business you want to run, your available capital, and what goals you want to achieve. The Kabushiki Kaisha (KK) is the most common and respected type of company in Japan, with an established history dating back to the 19th century. Referred to as a joint stock company in English, the KK offers a lot of advantages such as: limited liability for its owners/shareholders, ability to raise capital in a variety of ways (selling shares, issuing stock options, etc. ), the option of separating the role of shareholder from the role of director, and prestige in the business community and society at large. However, the registration process and requirements for a KK can be quite extensive, and imposes higher fees compared to the Godo Kaisha (GK). The Godo Kaisha (GK) is the Japanese term for a limited liability company. It is less expensive to register your company as a GK, which is a benefit if you have limited startup funds. Though GKs lack the historic stature of KKs and cannot raise additional capital by selling shares, it is an excellent choice for small businesses that need limited liability protection for their shareholders. Q : After the registration of my company is completed, what should I do next? • Submitting filings to Bank of Japan in case of foreign owned entitites. Q : Once I finish incorporating my company and open a corporate bank account, can I access this account online and conduct transactions from outside of Japan? A : As a general rule, Shiodome Partners Group would advise against doing this because most online banking services offered by Japanese banks are done in Japanese. Unless you are completely fluent in Japanese and have no need for translation services, handling your corporate bank account online from overseas is generally not recommended. Banks will vary in terms of what they offer with their online banking services. International banks in large cities may offer English support, while most local banks will only offer their online services in Japanese. 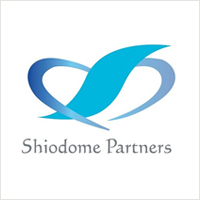 If you would like to know more about our services, you can contact us via email at inquiry@shiodome.co.jp, call our Tokyo office at 03-6228-5505 (+81), or submit a Contact Form Form at your convenience.